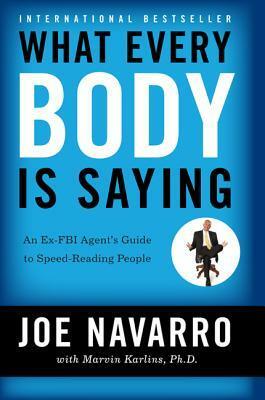 Joe Navarro worked as a counterintelligence officer for the FBI and has become a renowned body language expert and explains how to decode people’s true intentions and feelings. An interesting read that can definitely be applied regardless of your profession. Interesting to note and although very few of us will be using it for interrogation purposes, this knowledge can be helpful in personal and professional relationships. Shoplifters try to make themselves invisible by hunching over or restricting movements (arms/raising shoulders and lowering head)- actually bringing them more attention! In certain circumstances you can actually say or do something to see if it stresses an individual (as reflected in an increase in pacifying behaviors) to better understand his thoughts and intentions. This entry was posted in Books and tagged Body Language, Joe Navarro, Marvin Karlins on January 31, 2015 by Blas.